If you have any comments or feedback, feel free! Anyway, I Hope you will find them interesting and challenging. While many of the scenarios are quite specific, I’ve deliberately tried not to put too many constraints on you as a hunter to give the missions replay value and let you try a range of tactics. 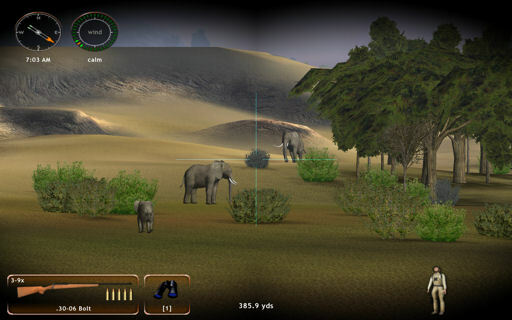 For example, while suggested weapons and equipment are pre-selected, you’re free to pick your own, and where a specific animal is the main goal of the mission, there are always other options, and your tags tend to reflect that freedom. 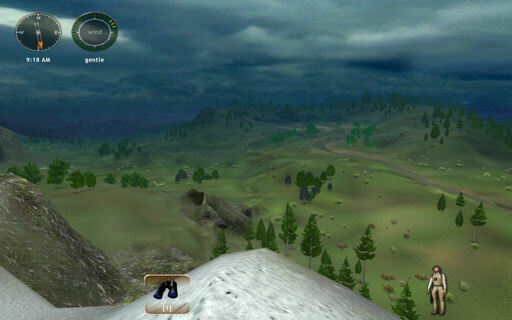 ‘ folder, and select them from ‘User Missions’ in the main menu of the game. Check back here occasionally if you enjoy these – I’ll be adding more missions as I complete them. Ever wanted to get up close and personal with a large black bear? No? Then you probably have a healthy self preservation instinct! But to succeed on this hunt, you have little choice. You’re in the middle of a driving snow storm and visibility is extremely poor. You have a black bear tag and are fresh on his trail. 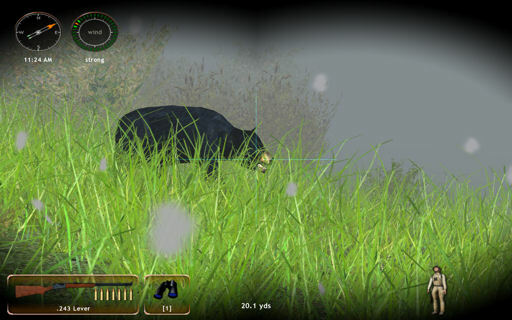 Though you’ll receive a bonus for taking him down, you also have two any species tags, so feel free to bag any other animals you see instead of or in addition to the bear – if you can see anything at all in this weather! You can choose any weapons and equipment you like, but for the extra challenge, use the preselected gear. You’ve been tracking a herd of Kudu for over an hour, but they’re very skittish and every time you get close, they bolt. Taking up position from a good vantage point above them, you suddenly see why… you’re not the only thing hunting them today! Still, you’re about to witness nature in action first hand! 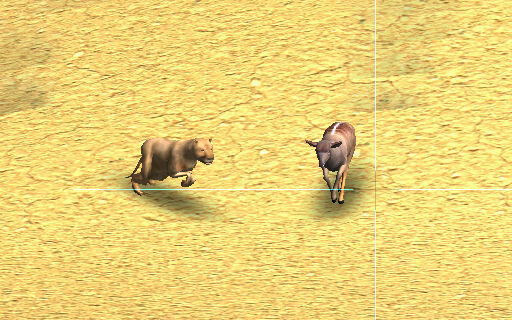 Hopefully, with the lions busy with their kill, you’ll be able to slip away and bag some Kudu – which are unfortunately scattered across the map now. 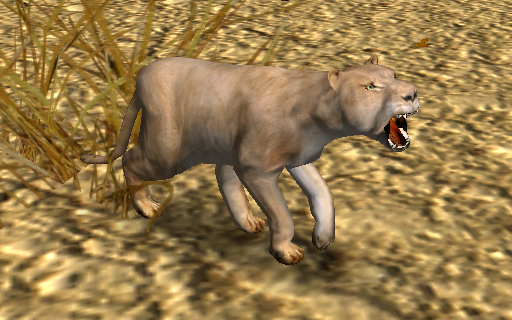 There are some impressive trophy animals among them, and a few other surprises to be had if you look hard enough, though you might need that any species tag to defend yourself from a lion, yet! Indeed, you’d be well advised to stay alert and pick your route carefully, since the rest of the pride is on it’s way to join the feast. You’re just about to bag the big Whitetail buck you’ve been trailing most of the morning through the Northern Rockies, when you notice he’s getting very agitated… and you’re sure it’s not by you because you’ve been extremely careful. Suddenly a monstrous grizzly comes thundering into view just yards away. While you’re not ideally equipped for bear hunting, at least the bears attention doesn’t seem to be focused on you! A bonus is available for bagging the beast that stole your trophy, if you’re brave enough! You’re either going to have to be very quick off the mark and very accurate, or you’re going to have to employ your skills as a tracker. There are a range of other animals in the mission and you have open tags, so feel free to bag any animal you want in addition to or instead of the grizzly. You might even still get that buck if the bear doesn’t get him first! The preselected equipment is chosen to provide a challenge. However, you can choose any weapons or equipment you want to. From your vantage point you can see the plains for miles around you. There are a wealth of animals in sight, and you have 3 open tags. Glass thoroughly, take your time to choose your targets well and enjoy! Oh, and watch your step getting back down that mountain! This mission is also a great one for practicing sighting in your weapons and taking (very!) long shots. Equipment is preselected, but by all means take what you need to suit whatever you decide to hunt today! Just last week, another hunter friend of yours was seriously injured round here in the Central Rockies when a moose gored him. When you visit him in the hospital, he tells you of an extremely vocal and volatile animal that really needs to be taken down as it is a danger to everyone and everything it comes across. So you’re out this morning looking for the beast, and have just come across a monster moose that has to be the very same one. He’s possibly the most aggressive and unpredictable moose you’ve ever come across. Unless you’re extremely bold, this is going to have to be a long shot, and you’re going to have to get it right first time! As always, there are other animals to hunt in this mission, and you have two additional open tags. 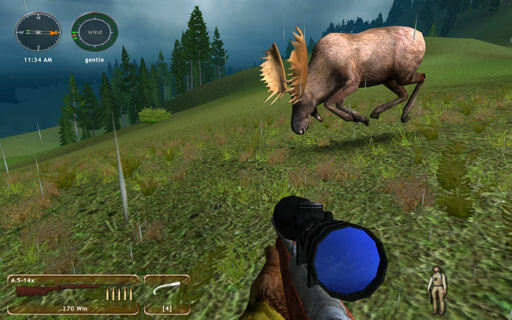 Some weapons are pre-selected, but since you came out specifically to bag this moose, feel free to arm yourself with whatever you prefer for the job. And bring a coat… it’s raining cats and dogs out. A large herd of elephants have been peacefully making their way down river with you close on their tail when a huge, aggressive bull appears, apparently intent on challenging the leaders dominance. Things may be about to get dangerous. What will you do? Flee before you get trampled and hunt elsewhere?! Take advantage of the commotion? or wait and see how things pan out? As always, equipment is pre-selected but by all means choose whatever you prefer. Purely for amusement… when you complete your objectives, don’t just end the mission… try and get out of there alive! Instead, you have a pet lion cub! He will follow you around wherever you go. He will even respond to your calls… if he feels like it. Play around with him on the horse and Atv, too! There are even a few things for the two of you to chase! hey, I liked the missions. I have a couple missions i have made up myself. Is there a place where I can post them for others to play? if you want to try them let me know and i will email them to you. thanx. 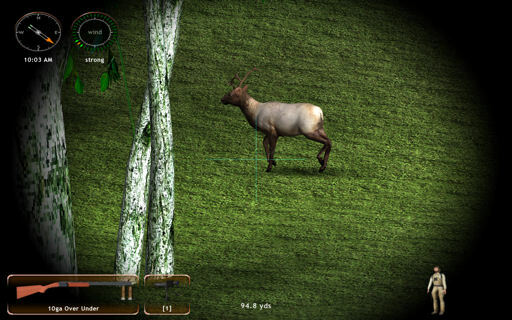 oh by the way, i made a 837 yrd headshot on an elk playing your level “Top of the World”. Thanks for the missions. I created a mission yesterday!!!! Can i post these missions on my website to get them wide spread? I will include author ofcorse. @michael63000 – I’d prefer you just link back to this page – which would be very much appreciated – than host them elsewhere. Thanks allot for the missions. 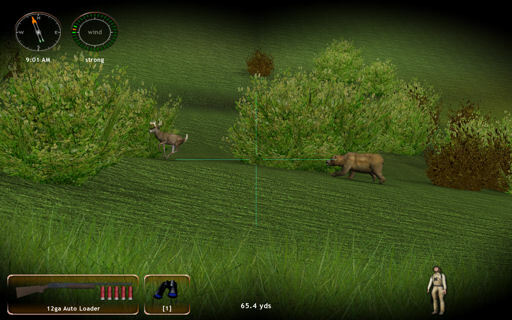 I just got HuntingUnlimited 2008. I can’t figure out what you do to bag an animal after it is shot. Is there some key you’re supposed to used. I tried B but it didn’t work. 69 queries. 1.191 seconds. | Theme design by Free directory for the free wordpress themes section.